A WOMAN who has brought the joy of music to places it wouldn’t normally reach has been honoured with a special award from the care sector. 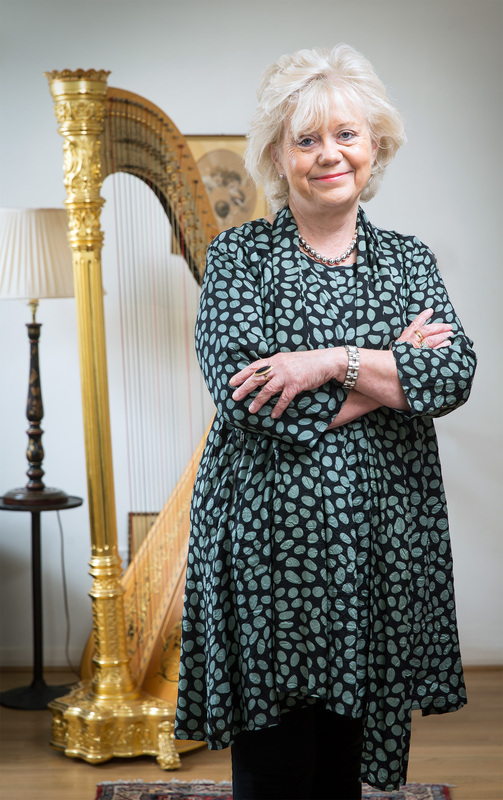 Gillian Green, who is herself an accomplished harpist, has spent the past 25 years working with Live Music Now (LMN), a registered charity which arranges for the cream of young professional musicians to stage performances in care homes, hospitals, hospices and special schools across the UK. 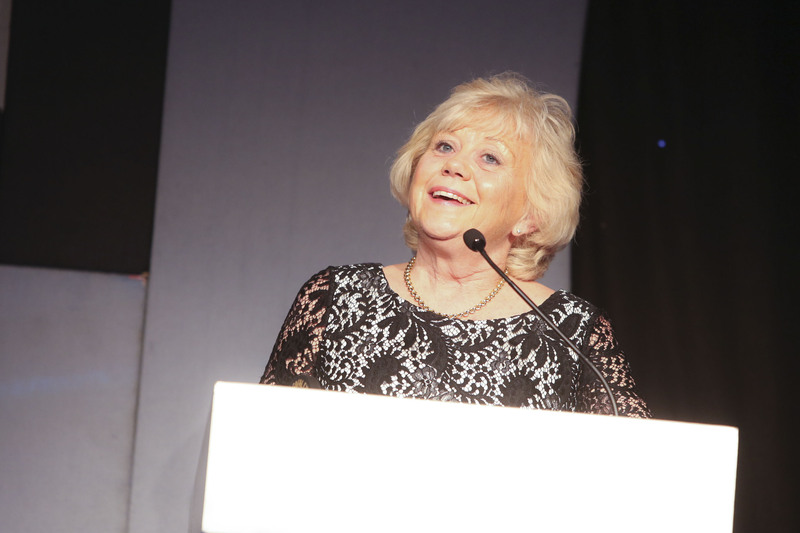 To mark her achievements 62-year-old Gillian was presented with the coveted Bryn Terfel Foundation Award during the glittering presentation evening for the 2015 Wales Care Awards at City Hall in Cardiff on Friday, November 6. The awards, now in their 13th year, are the Oscars of the care industry and aim to honour its unsung heroes and heroines across Wales. They are in association with Care Forum Wales, a not-for-profit organisation set up in 1993 to give independent care providers a single professional voice with which to speak on one of the most important issues of our time – how to provide better quality care for those who need it most. The Bryn Terfel Foundation Award is in the special gift of the nominations committee and sponsored by the Pendine Park care organisation, headed by Mario Kreft MBE who is also chair of Care Forum Wales. He said Gillian had been chosen for the accolade for the outstanding way she has promoted a high quality of life in social care through the medium of music. Gillian, from Llandaff in Cardiff, who received the MBE in this years’ Queen’s Birthday Honours, was one of the first specialist music students to attend Chetham’s School of Music in Manchester. She furthered her studies at Cardiff University and was a harp tutor for the Mid Glamorgan authority for many years. She co-founded Glamorgan Harp Guild and was the administrator for the Welsh Harp College. Live Music Now was founded with the help of legendary violinist Lord Yehudi Menuhin in the late 1970s and selects young, professional musicians who combine exceptional performing skills with special qualities of insight, generosity of spirit and flexibility. In 1990 Lord Menuhin and Lady Crickhowell set up the off-shoot Live Music Wales. Gillian was chosen as its director and served in that role until retiring last year. For the past 13 years she has been responsible for auditioning the best young musicians to perform for LMN across the UK and has continued in the role of auditions director following her retirement. Gillian said: “Over the many happy years I was director of Live Music Now Wales I was involved with well over 5,000 performances across the country in care homes, hospitals, hospices, school and special schools. “Care homes have been especially frequent venues for us in Wales and older people love to see young, talented musicians performing for them. “I have had a fantastic time and it’s been wonderful to see people have live music brought to them in places where it wouldn’t normally be found. “It’s also been an absolute joy to have the chance to follow the careers of so many young musicians. “Among the now-famous names from Wales who started with LMN were the pianist Llŷr Williams, the baritone singer Paul Carey Jones and Hannah Stone, a fellow harpist who I have come to know very well. Gillian added: “I am absolutely overwhelmed to have won the award named after Bryn Terfel who I also know. Mario Kreft, Chair of Care Forum Wales, said: “This is the third time we have made the award which is for promoting the arts in social care. “The awards committee looks for exceptional individuals who make a significant difference to the lives of vulnerable and disadvantaged people through the medium of music and the arts. “Gillian was instrumental in founding Live Music Now Wales and I first became aware of the work of the organisation during my early days in the care sector. He added: “Our nominations committee felt Gillian was an outstanding person in promoting a high quality of life in social care through the medium of music. “The Bryn Terfel Foundation, after which the award is named, has similar aims to Live Music Now in supporting young musicians in the early part of their careers. “I know that Bryn himself is very interested in how music therapy can be used to enrich people’s lives and that it is a particular passion of his.